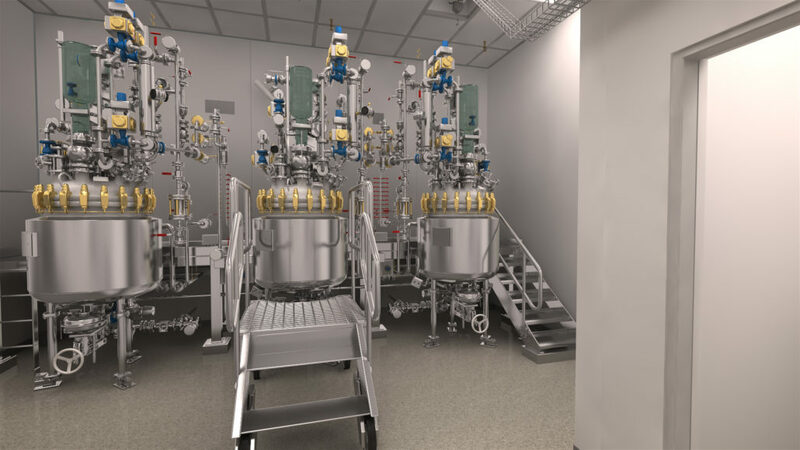 BPE were engaged by our client in 2015 for a conceptual study for an upgrade of their lab area to a continuous processing facility for multiple product. The scope of the project was to demolish the existing PMO facility, extend the facility to provide infrastructure capable of supporting cGMP continuous processing for complete synthesis of a Small Molecule API with up to 4 manufacturing steps, plus subsequent crystallisation, drying and isolation of the final API. Included in this scope was the attainment of planning permission, BCAR, Fire Cert, DAC, liaison with Fire for Fire protection requirement for ATEX and solvent manufacturing facility.In addition to the manufacturing facility, the scope of project also covered new offices, changing rooms, and meeting rooms all within a very tight schedule to meet new product introduction deadlines. The project met all of its major milestones with the facility in production in November 17.